TechPats is the world’s leading full service Intellectual Property consulting firm. We bring together patent expertise, technical excellence, and business acumen across a wide range of markets and technologies. Our expertise covers a broad range of technologies, allowing us to dig into complex systems and apply our knowledge to the world of IP. 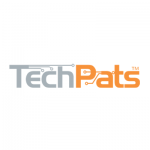 Whether you need consultation on patent monetization, IP management, patent litigation support or premier test lab capabilities the experts at TechPats have the technical expertise and engineering knowledge to evaluate your patented technology. Our in-house technical experts and registered patent agents, as well as our broader network of consultants, specialize in the following industries and technologies to ensure the most robust IP protection and expert patent mining for your company.